PRIZE MONEY across the PDC circuit continued to spread in 2018 as players around the world benefited from the PDC's ongoing investment in the sport. Last year, prize money rose again as more than £12 million was paid out to players globally in PDC tournaments and affiliated tours. Leading earner Michael van Gerwen's continued success saw him scoop over £1.5 million during 2018, culminating in claiming the record £500,000 top prize at the recent World Championship. Gary Anderson claimed over £800,000 during the year as he picked up TV wins at the UK Open, World Matchplay, Champions League of Darts and US Darts Masters. An increased total of 11 players earned over £250,000 during the year, 27 players won more than £100,000 and 54 players topped £50,000, while prize money across the circuit continued to spread down the rankings. 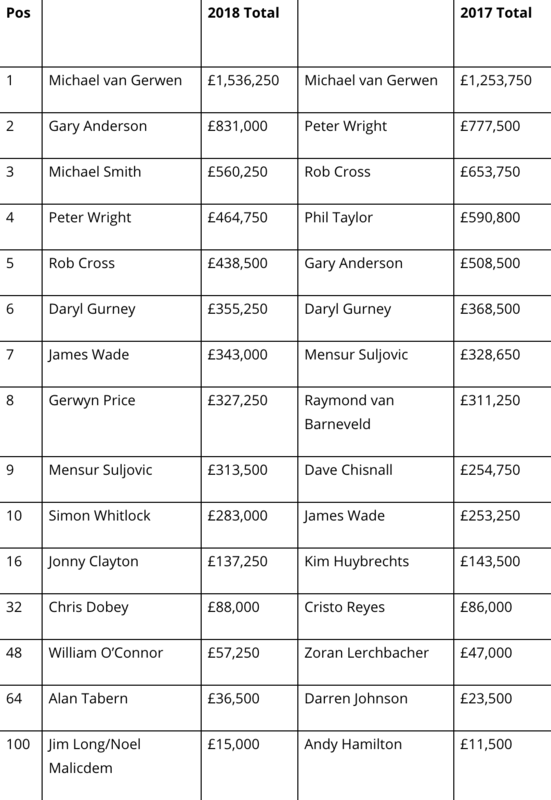 Players in 24th and 32nd place both saw a lift in prize money, while 48th on the annual earnings was a £10,000 increase from 2017, with 64th up £13,000 and 100th up by £3,500. The PDC's growth will see over £14 million paid out during 2019 as the sport's worldwide expansion continues, with the PDC European Tour and a host of TV tournaments benefitting from added prize money. "It's been wonderful to see PDC darts continue to flourish in the past year and the global prize money breakdown is another reflection of that," said PDC Chairman Barry Hearn. "Alongside the removal of entry fees for players on the ProTour, we saw an increased number of players joining the circuit through the introduction of the European Qualifying School, expansion to 13 European Tour events and the emergence of the PDC Asian Tour. "We have followed through with our commitment to increasing prize money for players across the circuit, and that will only grow further in 2019. 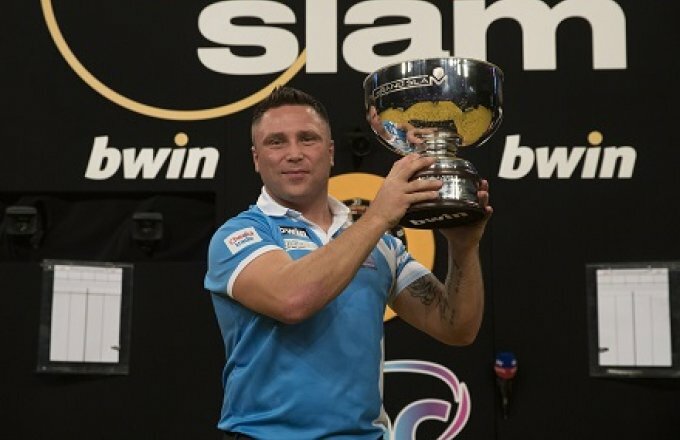 "The record field from Qualifying School was a reflection of the interest in professional darts at the moment and the clamour for Tour Cards was incredible - showing the desire from players to secure that coveted place on the PDC circuit." Prize Money totals from 2018 Masters to conclusion of 2018/2019 World Championship. Does not include prize money won on affiliate tours.